Growing up on a farm as a child afforded many wonderful experiences. Meaningful experiences that shaped my values and inspired me. I remember when I was about 6 or 7 years old, Dad decided that it would be nice to have fresh milk and eggs. So, he bought a Holstein cow named Bessie and ordered chicks. I remember sitting in our living room early in the morning before school with an old towel on my lap, carefully cradling a warm, fuzzy chick in my hands–marveling at its tiny body and feet as well as the soft, little sounds it made. Every morning over the next 2-3 weeks, I would hurriedly get dressed and eat breakfast so I could hold one for a few minutes before the school bus came. I loved those little chicks! 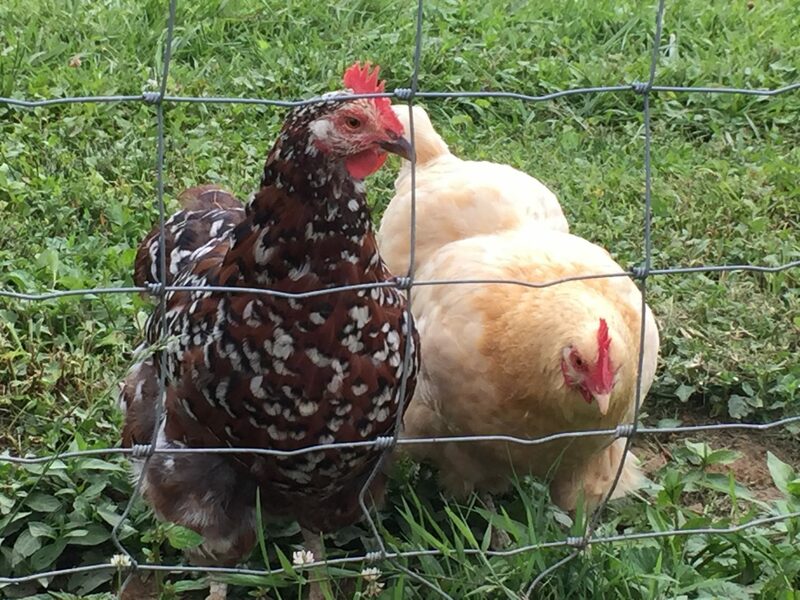 As the chicks grew into hens, they free-ranged all through the pastures and even around the house; but, for some reason, though, they didn’t like to lay their eggs in the coop. Much to my surprise and joy, while walking along outdoors, I would just FIND an egg laying in the yard or under a bush. It was like an Easter egg hunt! After making the discovery that the hens were laying eggs all over the place, I remember enthusiastically running into the house and searching for my Easter basket. “This is going to be fun!” I thought. And it was. The hens free-ranged and laid their eggs everywhere: around the house, in the yard, through the alfalfa fields, and even in my Granddaddy Rieley’s vegetable garden next door. I would spend the whole afternoon walking around the yard, checking under bushes and looking in the pasture and garden for eggs. I still remember the sheer thrill and satisfaction when I found one. Although I was having the best time, Dad didn’t take the same view of the hens’ anti-coop attitude toward egg-laying. Or, their free-ranging forays into Granddaddy’s unfenced, vegetable garden, where they left plenty of pecked tomatoes in their wake. By late fall, Dad had endured enough of these wayward hens and decided that it was time to re-home them. I tried to talk him out of it, but that didn’t work. So, I begged to keep “just one.” But he said, “No, the hen would be lonely and miss the others.” So, I had to accept that my beloved hens were leaving. Early one Saturday morning, a neighboring farmer and friend of Dad’s came to collect them. I stood and watched the truck with my hens ride-off down the driveway; I was heartbroken. The hens that I had lovingly held as chicks and watched grow into critters that created daily Easter egg hunts for me were gone. But here’s the thing: While I only had a small amount of time with the hens, the experience left a BIG impression, and I was fortunate to have had the opportunity. Farming is a chance to observe and appreciate the simplicity and beauty of seemingly small things. The seed that is carefully placed in the soil that quickly becomes a seedling, a plant, and then matures to bring forth a ripe tomato or a hearty zucchini; or, the fragile chick growing into a beautiful hen that one day produces eggs that a little girl finds such joy in collecting. Not only is there a serenity and satisfaction in the cultivation of a garden or the caring for an animal, but there is almost a daily reminder of the miracle of life. It was in part due to growing up on a farm as well as my brief encounter with the hens that inspired me to have my own little patch. A place to raise sheep and chickens, plant a garden, and grow. We had chickens when I was young as well, but for the most part ours laid in the coop. My aunt and uncle’s on the other hand, laid theirs all over the yard. We would find them in the garage, the barn, and any other outbuildings they could get into. I’m sure we found more out and about than we did in the coop. It was a fun time of life, and memories were made. Oh my! Yes–newly hatched chicks are very fragile. Perhaps, “Pic” the chick was only unconscious and the warmth of Marionette’s bosom brought him back to life. 😉 I’m happy Tasha gained an understanding and gentility for her new, feathered friend. Farm life definitely teaches valuable lessons. Having pets as a child left an indelible impression of me, all good ones. As an adult, I got chickens a few years back. Having them and raising them gave me an appreciation for what goes into farming, as well as seeing the hens as more than food producers. They have interesting personalities and have become somewhat of outdoor pets. What a heart-warming story about the daily Easter egg hunts! What a magical time that must have been for you. And it’s just one of those things that brought you to where you are today, Tonya! Your childhood memories sound charming and delightful! I completely agree with you, Cherity. I wish every child could have a similar experience. I believe that caring for animals teaches compassion and responsibility. I love the story of your early experiences on the farm and the photos that go along with it. It really shows a side that many may not really understand or appreciate. Loved this, Tonya. It really must have felt like a treasure hunt 🙂 So glad you have such memories to cherish. I just finished reading the book “The Yearling”… So many elements of the farm – I couldn’t help but think of some of your stories. This seems exactly what Jody would have loved 🙂 An easter-egg hunt every day! I’ll have to read “The Yearling.” I believe I would enjoy it. Thank you, Prajakta.